Eye makeup and I tend to part ways pretty quickly. Every morning I faithfully put on eyeshadow and eyeliner and by lunch all that remains are faint greasy smears. I finally figured out the reason my eye makeup was disappearing was because I have oily eyelids. This is great news for avoiding future wrinkles but bad news for looking fly. Enter the lovely product known as the eyeshadow primer. This is the number one rated eyelid primer on makeupalley.com and the one I am currently using. This primer comes in a tube and is sort of a fleshy color. How it works is that you squirt a little onto your finger and rub it all over your eyelid. You then let it dry for a minute and then you are good to go. Any eyeshadow or eyeliner you use after that will stay on pretty much until you take it off. 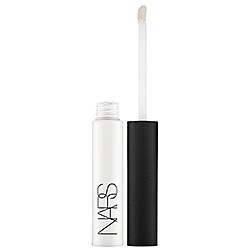 I really love Nars Eyelid Primer. This stuff comes in a lip gloss sort of tube that includes an applicator (which I love). The primer looks a scary white at first but don’t worry it dries clear. Another thing I like about this product is that it has staying power but it doesn’t dry out your eyelids. 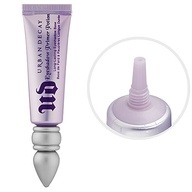 For good or bad – the Urban Decay primer can look really matte sometimes. 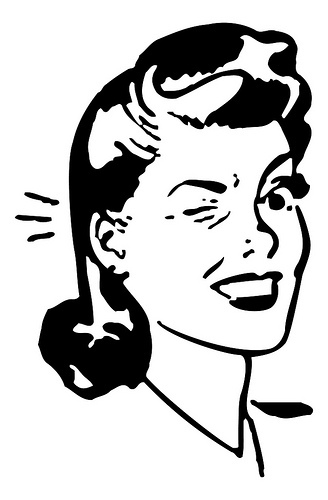 Of course if want to kick it old school you can always just swipe a little of your concealer on your eyelids prior to putting on a your eye makeup. Face powder would here work too. These options will extend the staying power of your makeup an additional couple of hours. Sure eyeshadow primers are a little on the pricey side but think of it as an insurance policy for your eye makeup! My eyeshadow/eyeliner always comes off too! Can I get these products at a drug store or do I need to go to a department store? There are not too many drugstore brand eye shadow primers available, however E.L.F. and Pixi both have eye shadow primers (available at finer Targets everywhere). The E.L.F. version is highly rated on makeupalley.com and will set you back $3. So cheap! For that price you can pick up some new eye shadows and have yourself a party. Good luck!